Samy Beshay had a real-life blast from the past at Celebration Square Saturday night. 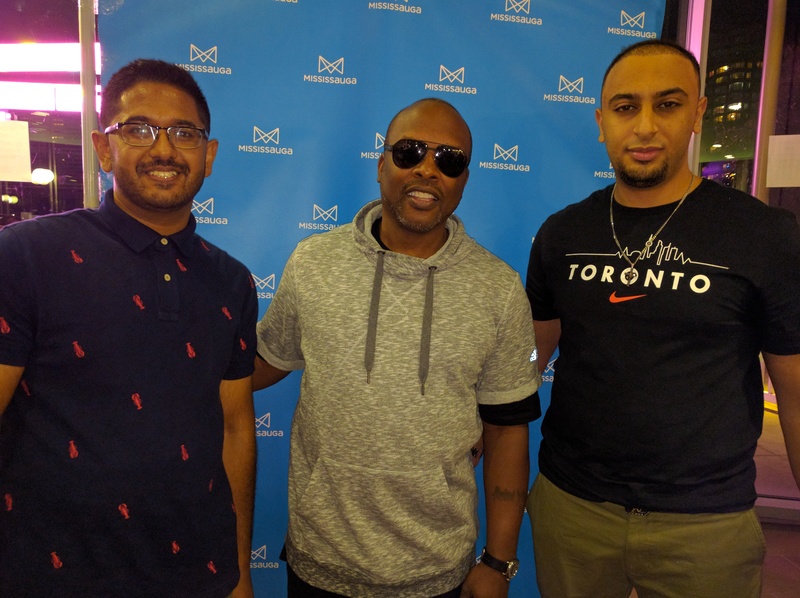 He’s one of 10 lucky contest winners who scored a meet and greet with DJ Jazzy Jeff. “He was on Fresh Prince of Bel-Air and that was one of my favourite shows as a kid,” said Beshay, 21. Along with his guest, childhood friend Samuel Chacko, the Streetsville resident got to take photos with the famous DJ. “It’s really awesome because we used to watch the show all the time as kids,” said Chacko. They won the prize after answering a trivia question about which film Jeff is linked to — Straight Outta Compton. “I had to do a bit of research for that one,” said Beshay. Jeff was headlining the third annual SoundBites festival. Cellphones and cameras were out as he and Philadelphia newcomer Dayne Jordan took the stage. “There’s a love-hate relationship with it,” Jeff told the QEW South Post before playing. Having said that, Jeff admits he’s recorded artists on stage using his phone. Jeff is asked about millennial party-goers requesting ’90s music. “Life goes in cycles and I think that that’s the cycle,” he said. Evolving technology has helped Jeff travel lighter — no more carrying crates and crates of vinyl on planes. “People think that it makes you a better DJ, and it really doesn’t,” he said. It has levelled the playing field, though, he says, in that everyone has access to the same music. The Blue Jays are stepping their game up in the final month of regular-season baseball, despite a 7-5 loss in Tampa Saturday. Jeff, West Philadelphia born and raised, says he was en route to Spain during Game 6 of the 1993 World Series when the Jays defeated the Phillies.